Marijuana legalization has been a hot topic in the news across the United States over the past few years. In 2012, Colorado was the first state to pass legalization of recreational marijuana use. Prior to this, many states had legal medical prescription marijuana sales and usage on the books. However, Colorado’s move to legalize recreational cannabis use is a sign that the overarching public view of these substances is changing. 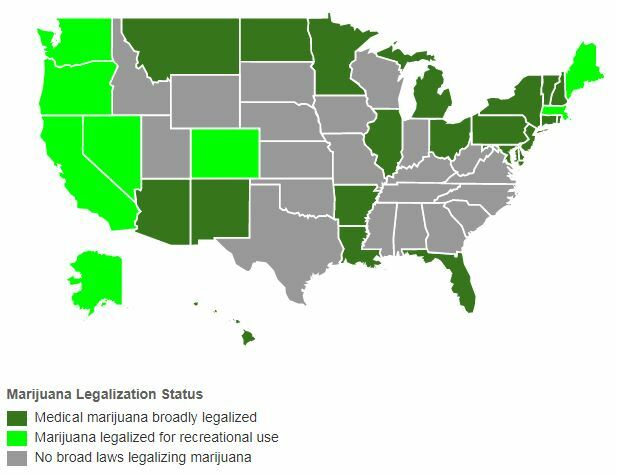 Since 2012, seven states, as well as Washington DC, have legalized marijuana. Twenty-six have passed laws regarding the consumption of medical marijuana, with all fifty states legalizing medical CBD cannabis products. While marijuana is still considered a schedule I controlled, illegal substance under federal law, many states are moving towards decriminalization with others going towards full legalization. In other words, cannabis in one way or another is one of the fastest budding industries in the United States. Map of cannabis legalization in the United States as of October 2017. As time goes on, many say it is inevitable for full legalization across the US. That being said, the cannabis industry is not the “wild west” that some people thought it might become with legalization. As a consumable substance, states that legalize marijuana have enacted their own strict guidelines for bacterial, fungal, and pathogen detection as well as pesticide and potency testing. Unfortunately, there is little to no coordination between the legalizing states. Regulations and processes needed for consumer safety are not standardized for the industry. The standardization of these processes and regulations will not be seen until the federal government lifts its classification of the substance. The lack of homogeny in regulation causes an unavoidable flurry of confusion as people try to keep up with the ever-changing state laws. Generally, many cannabis producers are entrepreneurs with little to no microbiology testing experience and as such have relied on outsourcing their microbial testing to outside laboratories. However, as time goes on and producers grow large enough to accommodate their own labs, in-house microbial testing for pathogenic organisms such as Aspergillus, E. Coli, Listeria, Salmonella, and Staphylococcus will become increasingly necessary to ensure that the product is safe for human consumption. Many predict that in five years, marijuana will soon see the kind of strict federal regulation that comes with total legalization. In the meantime, staying up to date on the current state requirements is paramount for any cannabis producer. Referencing only up to date articles and regulations is important during this time of legal fluctuation. This Article, updated on the 4th of March, 2017, outlines the regulations required by various states. 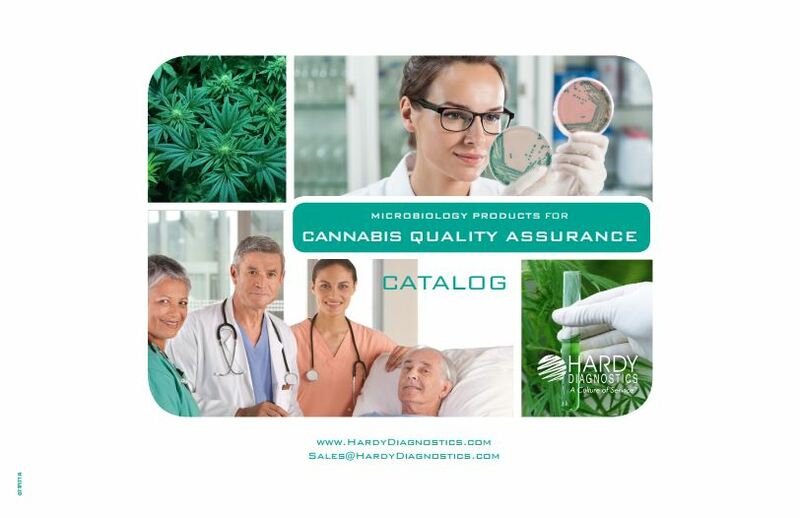 Read the Cannabis Quality Assurance catalog from Hardy Diagnostics today! Hardy Diagnostics is an ISO 13485 certified and FDA licensed manufacturer of medical devices for microbiological procedures in both clinical and industrial laboratories. Founded in 1980 in Santa Barbara, California, Hardy Diagnostics has thirty-seven years of experience producing over 2,700 different products used to culture and detect pathogens including Salmonella, E. coli, Listeria, Aspergillus, Staphylococcus and much more. 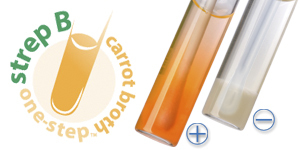 Hardy Diagnostics is proud to offer Dilucup Elegance and CompactDry to the cannabis industry. Dilushaker simplifies the serial dilution process offering ease of use as well as the precision of timed vortexing to ensure perfect mixing every time. The Dilucup Elegance cups can be stored at room temperature in the Mylar bag, and the smaller footprint saves space. Cheaper per dilution than full vials, let Dilucup Elegance save you money, time, and space while providing consistent results. After you have a dilution, you can utilize CompactDry for a multitude of tests, including Total Plate Count (TPC100), Salmonella (SL100), Yeast and Mold (YMR100 which provides rapid results in 24-48 hours), and E. coli and Coliforms (EC100). These small, pre-reduced plates utilize a chromogenic reaction for easy identification, diffuse samples evenly across the media, and even store at room temperature. Learn more about offerings from Hardy Diagnostics to the Cannabis microbiology testing. Learn more about Dilucup Elegance and CompactDry. Want a sample or free demo? Do you want to know more about microbial testing for cannabis? Get in touch with a Sales Representative. Let Hardy Diagnostics help your lab develop a microbiology protocol that will get you consistent, reliable results at a great price! **This article reflects the laws and regulations up to the date of writing, 10-11-17, and should not be cited as an offical reference for the current laws and regulations in your state. This entry was posted in Micro Musings and tagged aspergillus, cannabis, cannabis lab, e coli, lab, lab testing, legalization, Listeria, marijuana, quality assurance, Salmonella, staphylococcus, testing. Bookmark the permalink.